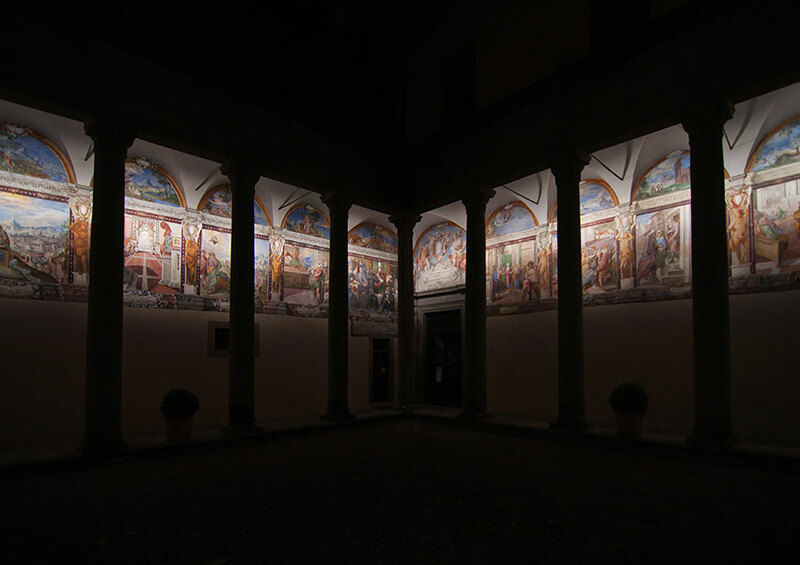 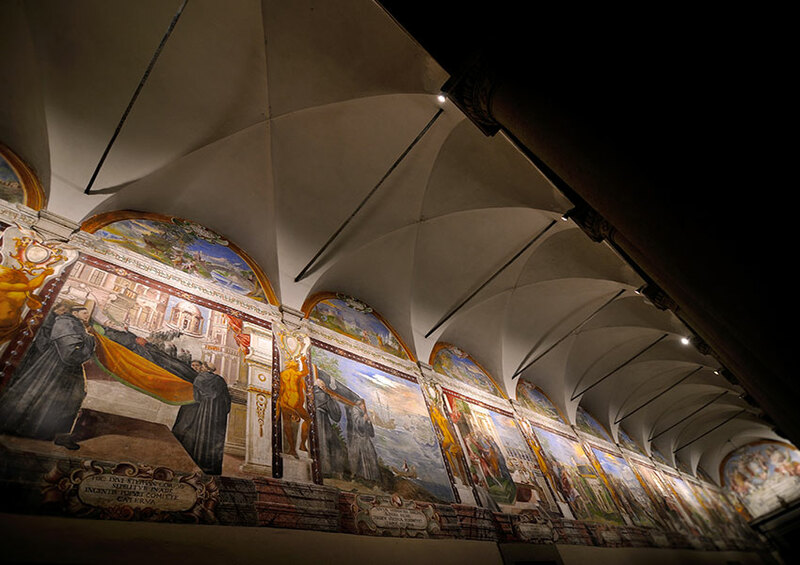 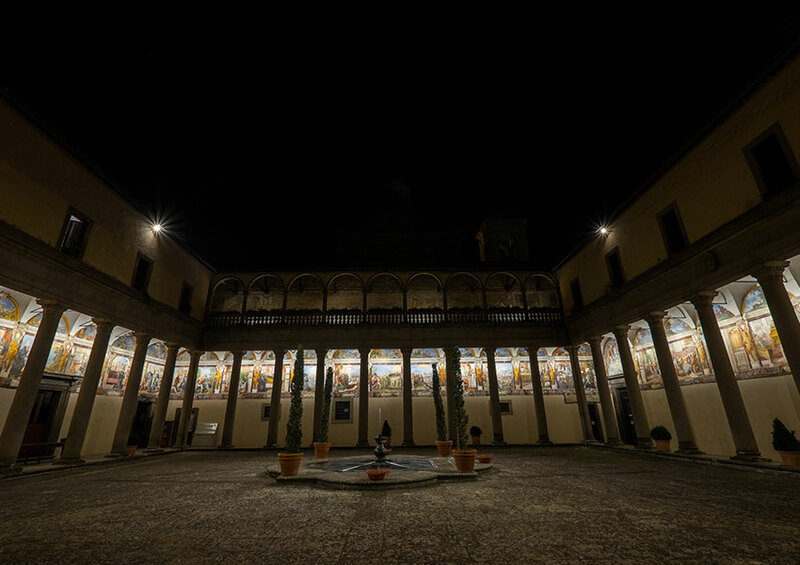 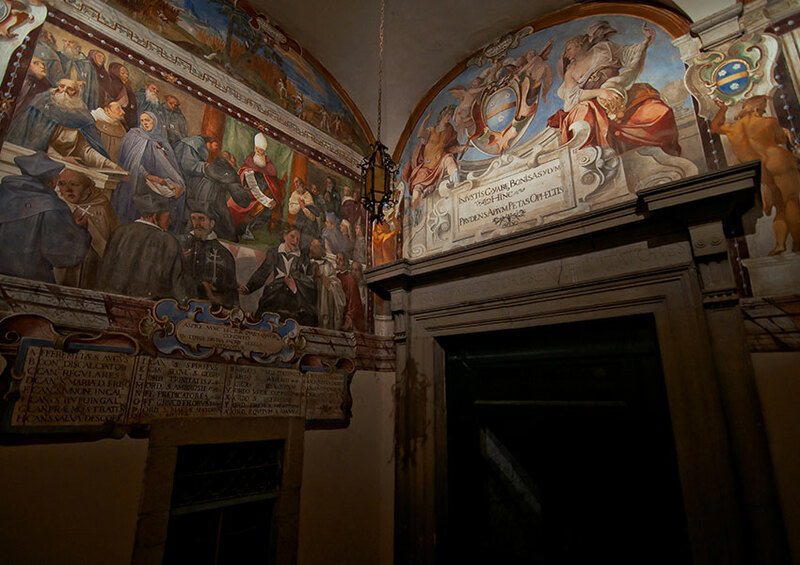 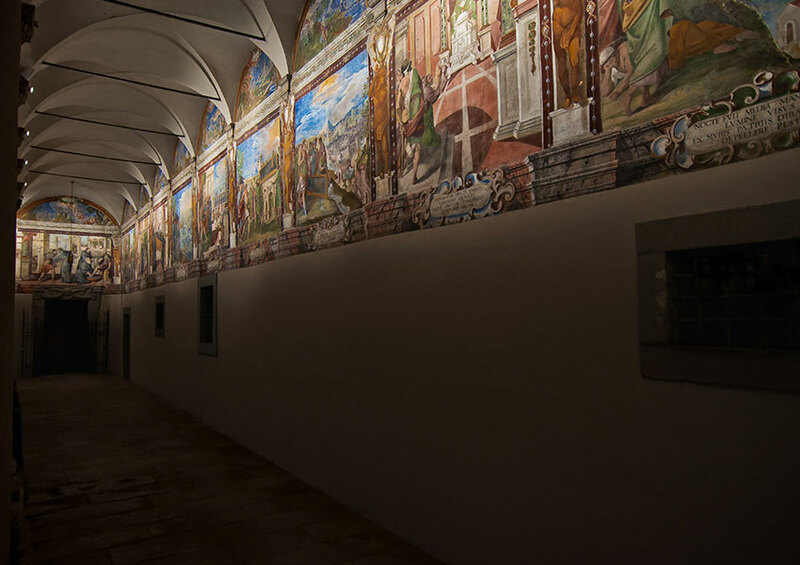 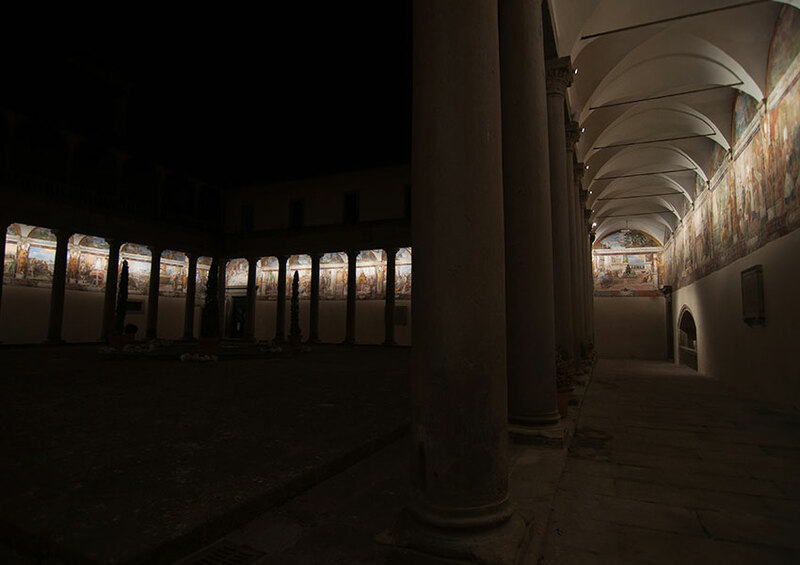 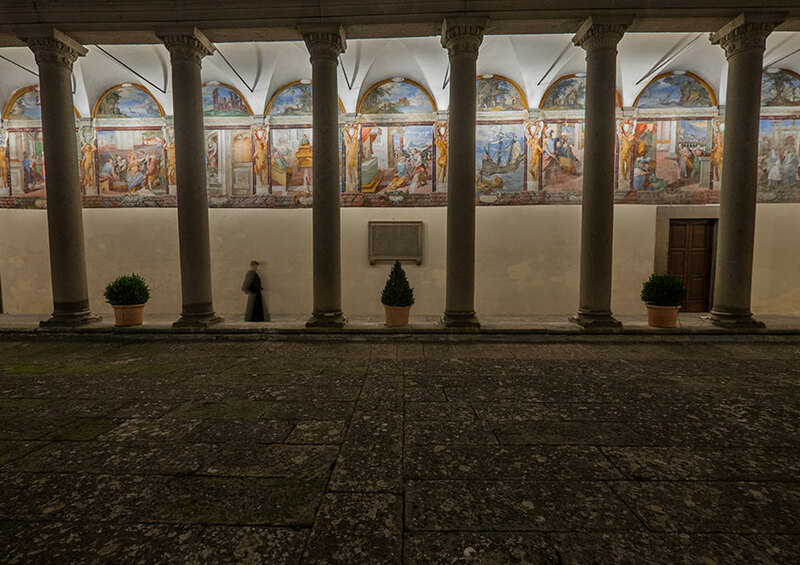 Awarded with the Special Mention on the occasion of the Codega 2015 Prize, the lighting design of the Cloister of the Santissima Trinità of Viterbo was developed recreating, in an open space and with numerous architectural constraints, an almost museum lighting, able to make accessible to monks and citizens, even in the evening hours, a space of rare beauty and to maximize the pictorial cycle, characterizing the perimeter walls. 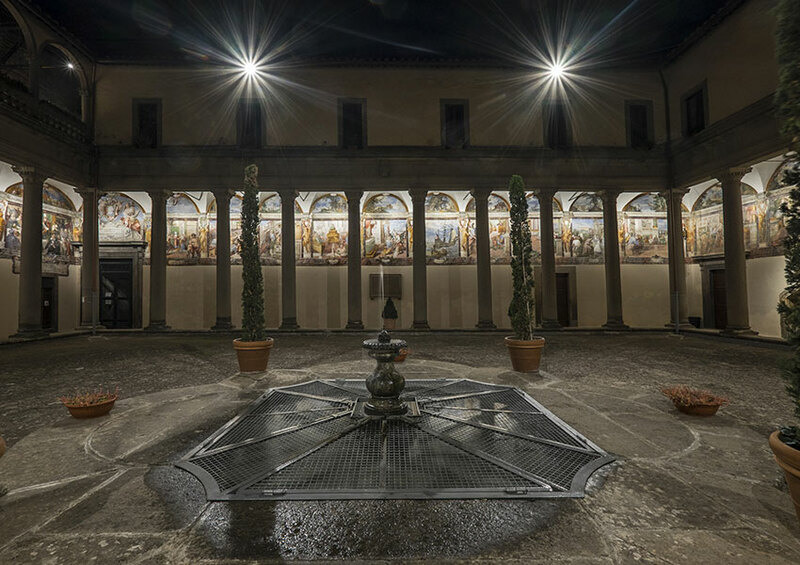 The lighting fixtures were chosen after taking into consideration, evaluated and tested on-site the best products on the market. 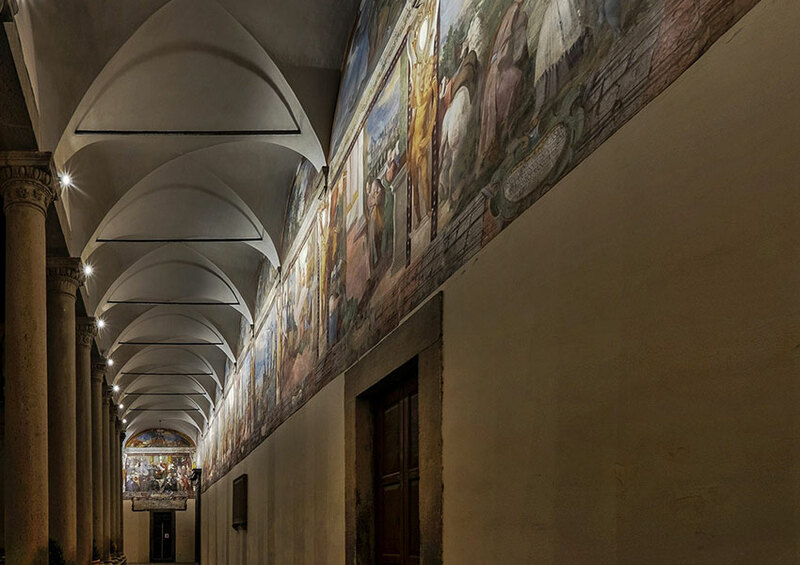 The solutions adopted blend harmoniously into the architecture, concealing themselves as much as possible to visitors. 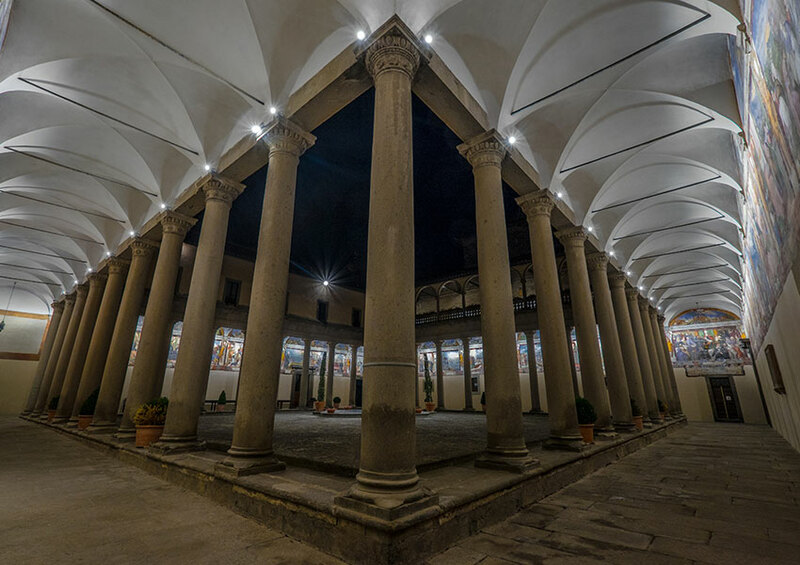 Custom lenses and a CRI value +95 bring out details that can not be appreciated during the day.